MIA Online - Command your nation to victory! World class 3D Fantasy Open World Action MMORPG at your fingertips!Redefining the Action MMORPG experience on mobile. Vanquish foes in real-time Nation War, Guild versus Guild and Arena brawl! Raid enemy nation and epic bosses with friends and allies in M... see more MIA Online - Command your nation to victory! World class 3D Fantasy Open World Action MMORPG at your fingertips! Redefining the Action MMORPG experience on mobile. Vanquish foes in real-time Nation War, Guild versus Guild and Arena brawl! 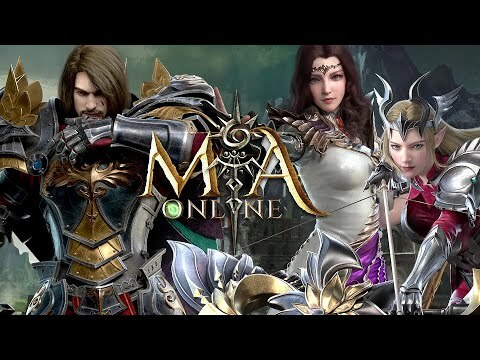 Raid enemy nation and epic bosses with friends and allies in MIA Online! ■■ WAR AGAINST OTHER NATIONS – gather your allies and reign supreme with your flags raising higher against the opposing nation. ■■ HARNESS THE FULL POWER OF THE RINGS – unlock and gather the rings by defeating the final bosses of various realms. ■■ DIVERSE PVP and PVE MODES – challenge the big bosses and competitive players across the region of an open-world environment! ■■ NON-LINEAR CHARACTER BUILDS AND SKILLS – unlock your full potential and prove your strength among the rest. ■■ IMMERSIVE GAMEPLAY – enjoy the 3-dimensional, realistic world of a medieval culture of the Middle Earth! ■■ UNLIMITED CUSTOMIZATION – tweek your character’s look with the sharpest physique that best suits your personality. ■■ BUY & SELL EQUIPMENT AND ITEMS WITH OTHER PLAYERS – being a merchant gets you in control of the game’s economy.